The de Havilland DH82 Tiger Moth was a 1930s biplane designed by Geoffrey de Havilland and was operated by the Royal Air Force and others as a primary trainer. 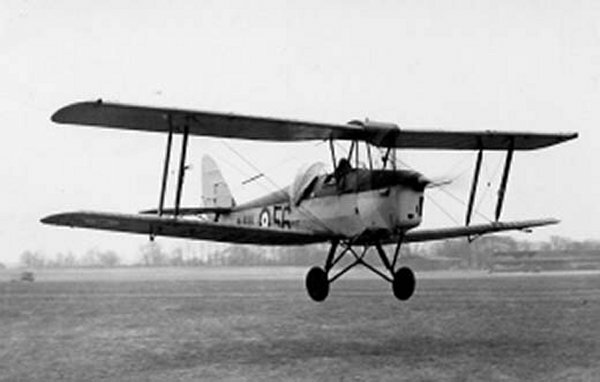 The DH82a variant was a two-seat primary trainer aircraft powered by a 130 hp (97 kW) de Havilland Gipsy Major piston engine and fitted with a hood over the rear cockpit for blind flying instruction. It was named the Tiger Moth II when in use by the RAF. The Tiger Moth remained in service with the RAF until replaced by the de Havilland Chipmunk in 1952. 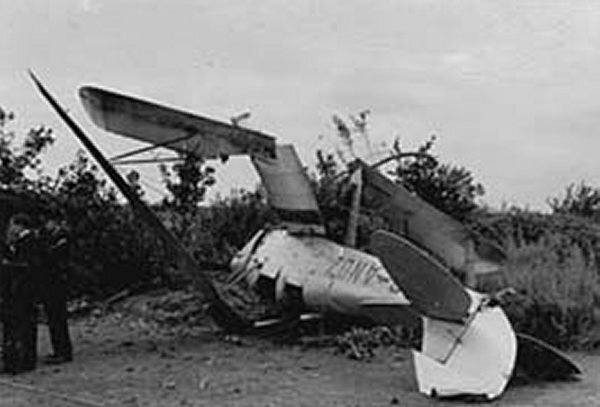 In postwar use, large numbers of surplus Tiger Moths were made available for sale to flying clubs and individuals. They proved to be inexpensive to operate and found enthusiastic reception in the civil market. 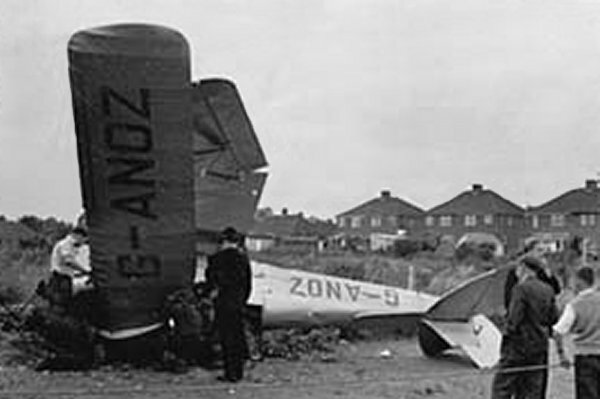 The DH82a Tiger Moth, registration G-ANOZ, was a former military aircraft that was lost whilst in civilian ownership. 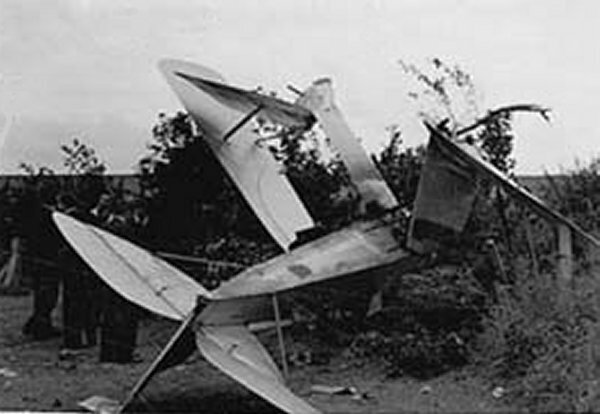 It crashed in Yeovil, nearly missing houses, on 17 August 1956 - presumably while making an approach to Westland's airfield. Nothing else is known at this time. Firstly, this is what a Type DH82a Tiger Moth should look like when it's near the ground. 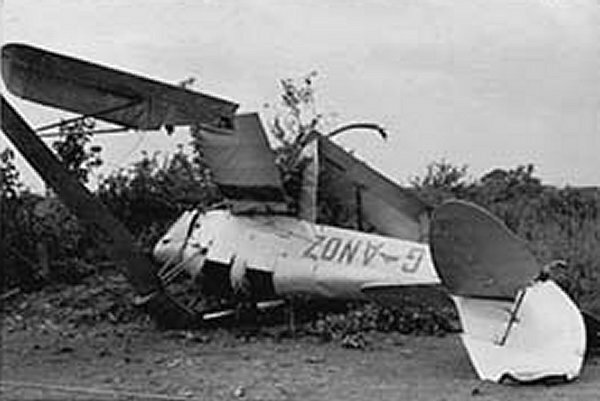 Below are a series of four photographs of Type DH82a Tiger Moth registration G-ANOZ as it ended up on the ground. 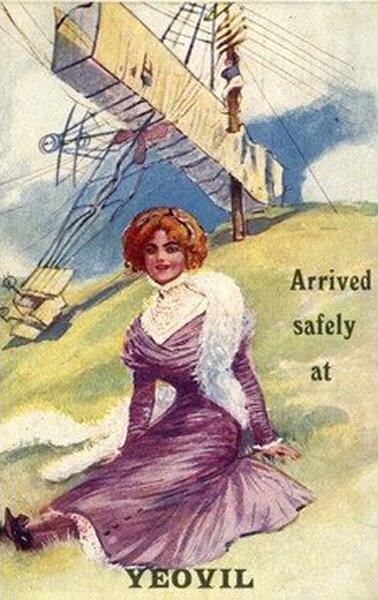 A postcard featuring a similar incident, but from around 1914.